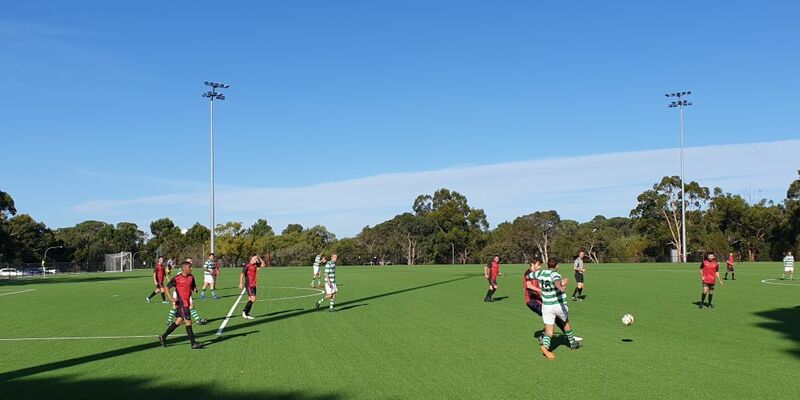 MURDOCH University Melville FC have started their State League Division Two season on a positive note, defeating Shamrock Rovers 3-0 at Murdoch University. Early goals from Christian Long and Ryan Tucker sent the hosts on their way, before a late Daniel Davey strike sealed a resounding opening day victory. Keen to repeat their opening day victory over Shamrock last season, the home side capitalised on some early pressure when Anthony Lomma slipped a fine pass through to Long, who fired home emphatically. Long then turned provider minutes later when his mazy run ended in a cutback to Tucker and the midfielder made no mistake, dispatching the ball into the top corner. MUM FC goalkeeper Alec Radonich was rarely troubled in the first half, other than a speculative lob from distance, while David McNally came close to extending their lead with a pair of headers. It was a similar story in the second half as the hosts enjoyed the lion’s share of chances, with Sasa Slavujevic narrowly missing with a sensational chip, before firing over from inside the box shortly afterwards. Davey forced Rovers’ goalkeeper into a double save to keep his side in the game, but the young winger was not to be denied and deep into injury time, he let fly from the edge of the box and left the ‘keeper with no chance to cap off a fine performance. Earlier, MUM FC’s Reserve team made a statement with a 7-1 win over their Shamrock counterparts. The Reserves led 5-1 at half time thanks to goals from Adrian Ciampini, Brett Tucker, Tom Strickland and a brace from Simon El Chami, before a late double from Liam Goerke put the icing on the cake. MUM FC’s Under 18’s side claimed a 3-0 victory after Shamrock’s Under 18’s were unfortunately forced to forfeit.